The German has recently made clear is frustrations over the depth of his playing squad, and things came to a head on Sunday eveing after a heavy thumping at the hands of Ligue 1’s second-placed side. 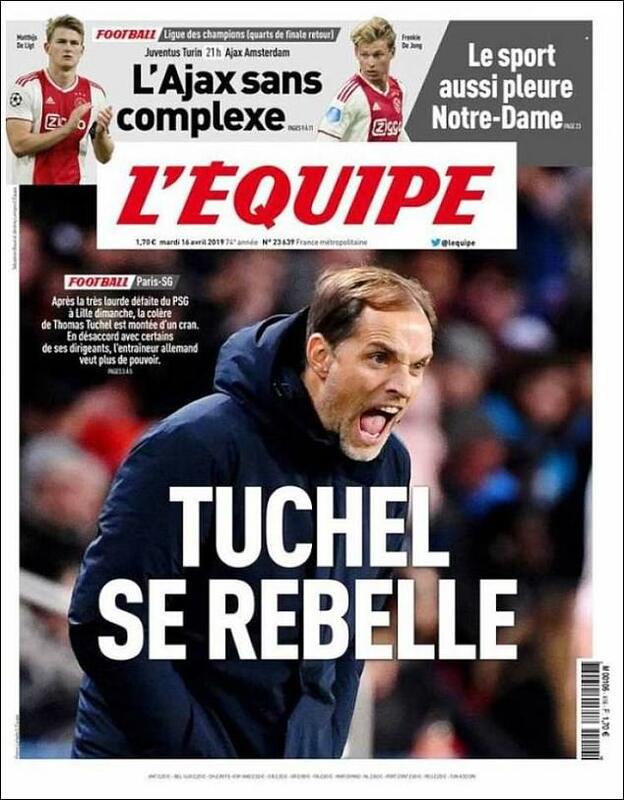 ‘Tuchel Rebels’ was the headline in L’Equipe after the former Borussia Dortmund boss confronted the club’s owner in the tunnel at Stade Pierre Mauroy following the disastrous evening. 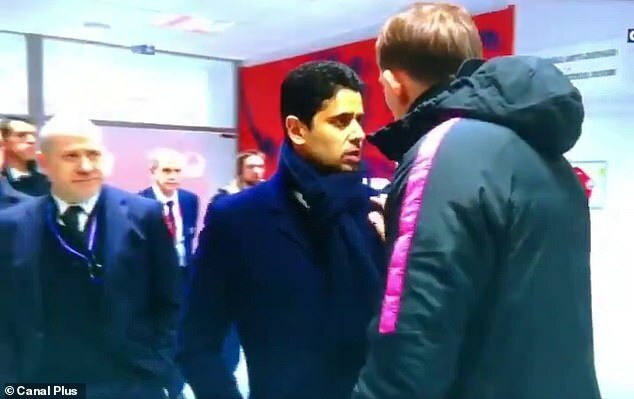 Footage on Canal+ showed Tuchel grabbing the scarf of Nasser Al-Khelaifi and making a few pointed remarks after once again being unable to name a full bench. Speaking after the game in Lille, Tuchel told reporters: ‘We lack reliable players. It’s not possible to play with twelve, thirteen players. 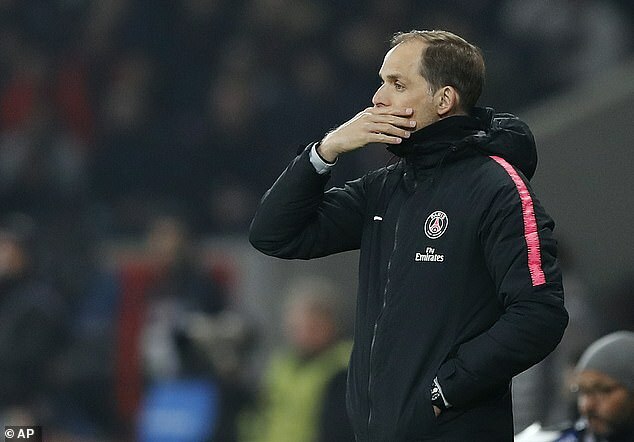 Tuchel’s main gripe with the PSG board is their continous backing of sporting director Antero Henrique, with the 45-year-old laying a lot of the blame for his threadbare squad at the door of the Portuguese. According to reports, Henrique is negotiating extensions for Gianluigi Buffon and Dani Alves, two deals that Tuchel does not see as being a priority. The German is also believed to be upset with the way he has handled the contract situation of Adrien Rabiot, who is set to leave the club on a free this summer. Speaking about the differences between himself and Henrique, Tuchel said: ‘We have to reflect on everything, because it has gone too far. We have to be honest with each other and get the real reasons. Good post and there is nothing new in this, because Unai Emery left PSG amid the same allegations.